Outfit7 is a game app development company originally formed by eight enterprising entrepreneurs in July 2009. The people of Outfit7 are behind the architecture of Talking Tom, the massively popular animated cat software. After that, the company has gradually evolved to become one of the largest family-friendly entertainment companies in the world. Outfit7 is a game development firm in the entertainment industry with its headquarters located in Limassol, Cyprus. The company’s co-founder and CEO, Samo Login, is a former employee of Najdi.si, the popular Slovenian search engine. Currently, the company develops mobile games and utility apps for Apple’s iOS and Google’s Android platforms. Samo Login is supported by co-founder Iza Login, and a team of about sixty employees. Outfit7 Limited is a global multinational business that has a number of subsidiaries and branches located in the UK, Slovenia, Cyprus, South Korea, and Palo Alto, United States. 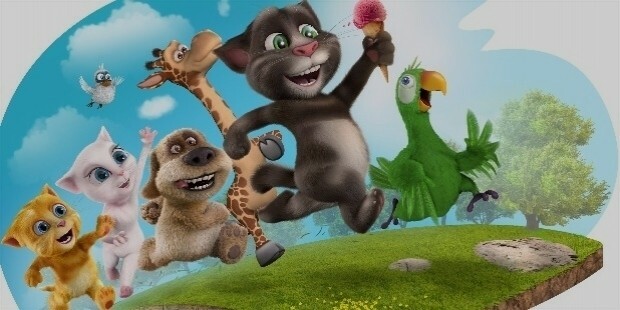 The company’s popularity and profits sky-rocketed after their most successful game, Talking Tom and Friends (pictured below), received over 300 million downloads with the first eighteen months of its launch. The app then went on to cross one billion downloads in June 2013. The company has garnered international acclaim as its free-to-download game has been featured in over 230 countries and territories all over the world, and even has a fan base in Vatican City. The company built its success upon its charming 3D animated characters, and is currently slotted at over two and a half billion downloads and counting, as well as 250 million active users every month. The company has even launched an internet animated series called Talking Friends in collaboration with Disney Interactive. 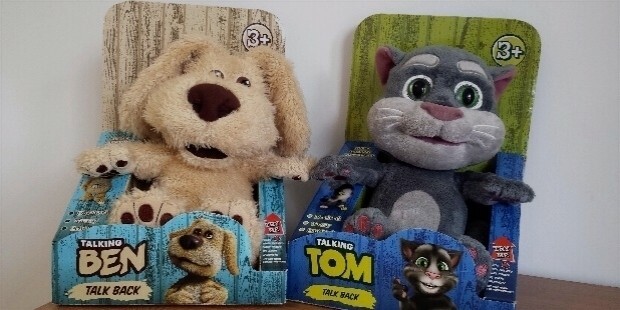 The company is currently in the process of launching multiple YouTube singles, their own animated web series, as well as Talking Tom merchandise such as toys, accessories, and apparel for the franchise (pictured below). Outfit7’s biggest achievement, Talking Tom and Friends, made its debut appearance all the way back in 2012, in the form of a duet by the characters of Tom and Angela called, You Get Me. Everything else, as they say, is history, with the app crossing over 2.5 billion downloads and the subsequent YouTube video receiving over 220 million views, as of July 2015. Talking Angela has even published her very own solo hit entitled That’s Falling in Love. In general, the company’s runs their own mobile publishing platform, Fun Network, which provides external developers a common platform to interact and engage with Outfit7’s development team, as well as their global marketing platform. The company is an avid supporter of the Online Privacy Campaign and has also taken special measures to protect its own users’ privacy, with a compliance-based collaboration with PRIVO. In 2016, the founders of the company hired the services of the American multinational finance company Goldman Sachs to make plans for the sale of Outfit7. By January 2017, press releases revealed that Outfit7 was subsequently sold to a Chinese group called United Luck Holdings Consortium for US$1 billion, in a deal fronted by United Group Holdings Limited. But this information was amended four days later when another press release stated that United Luck would sell Outfit7 to a Chinese chemical company named Zhejiang Jinke Peroxide Company, which was renamed to Zhejiang Jinke Entertainment Culture Co. Ltd. In March 2017, the deal to officially sell Outfit7 to Jinke was signed and confirmed. Despite the sale of the company to a Chinese firm, Samo Login remained on board as the company director, while co-founder Iza Login indicated on her LinkedIn that she remains as an advisor to the business.